Generation W presented its signature “Rise & Shine” event at the University of North Florida on Friday, April 13th. 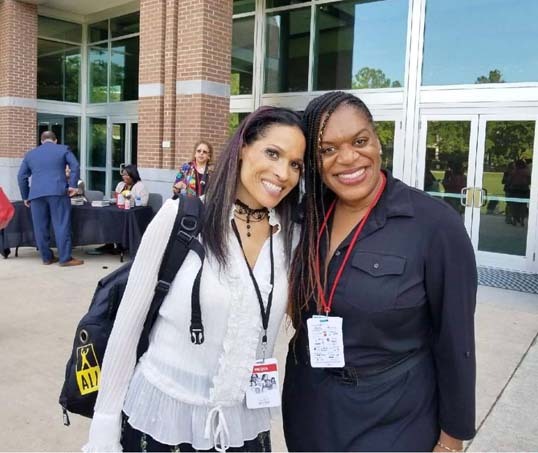 Business and community leaders joined experts from around the country for an insightful day that challenged participants thinking, while inspiring spirits and connecting individual worlds. Breakout sessions and workshops included dialogue from men and women on their commitment to the communities they serve, the professions they elevate, the board rooms they occupy and the inventions being created. This year’s highlight was guest speaker Rasheda Ali, author, speaker, spokesperson for Parkinson’s Disease and daughter of Muhammad Ali. Rashed presented the ‘Ali in All of Us’ workshop. Generation W is a national nonprofit organization that is a social force and an economic juggernaut that has unlimited capacity to affect change. The goal of Generation W is to provide a platform to elevate the voice of women and girls in the service of building communities and was inspired by the belief that when people, especially women, come together, magic happens! 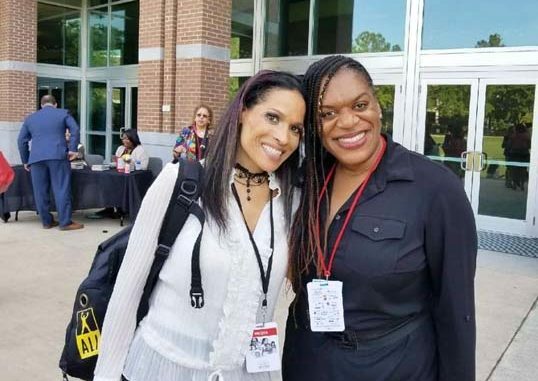 Shown is Rasheda Ali with Rise and Shine co-creator L.J. Holloway.